While including the patient and caregiver voice presents many opportunities to improve research, barriers to their engagement must be addressed. As discussed previously, patients encounter the barrier to being active participants – an issue The Research Loop directly addresses. Yet further barriers exist of which researchers must be aware. Though presented in this paper and many others, researchers may still not see the value of involving patients and caregivers above. To help researchers understand how patient and caregiver feedback can be useful may require continued educational efforts and training for researchers. The Research Loop will offer educational materials to support researchers in recognizing the value of the patient and caregiver voice in many ways. 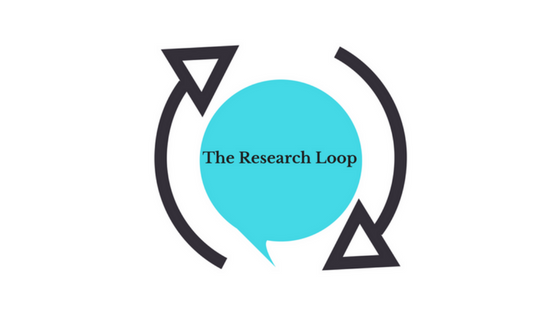 The Research Loop will attempt to help researchers recognize the value of the patient and caregiver voice – both through education and the actual provision of feedback. Educational efforts will focus on presenting to researchers how patients and caregivers can transform research. In fact, this very paper can be used as educational material as it presents arguments for involving patients and caregivers. Researchers who receive feedback from The Research Loop may develop more respect for the patient and caregiver voice. Hopefully these researchers will then use their experiences to impress upon their colleagues the importance of the patient and caregiver voice. Some researchers question including patients and caregivers, thinking that these individuals may be too emotional. However, researchers should realize that emotions can in fact provide important feedback. As Uhm noted, “Emotion and anecdote can be ‘the motivation to discuss, and to engage with, material and fellow citizens.’”41 As such, emotions should be seen as an asset. Researchers might also be reminded, that research is very personal to these patients and caregivers. These studies may directly affect their lives. Thus, researchers should approach feedback from patients and caregivers with compassion and understanding. The Research Loop, at least in its initial stages, will attempt to screen feedback to ensure that­­­ it does not violate feedback guidelines but will not censor feedback that may come across as “unprofessional.” Feedback guidelines lay out what feedback is inappropriate and how patients and caregivers can write constructive feedback that is more beneficial to researchers. But to the extent that the guidelines are followed, The Research Loop will allow feedback that is emotional. This includes feedback that may make researchers uncomfortable. While researchers will be more receptive of feedback that is perceived as positive or constructive, there is still value in patients and caregivers simply stating, “this research is awful.” Such feedback may be imbued with emotion but if accepted, can be used as any other feedback to inform future research. Though not specific, such a statement may encourage researchers to review the work they conducted with a more critical eye and re-evaluate future endeavors to assess whether their topics are relevant, if the research is flawed, and where improvements can be made. Patients and caregivers come to research with differing levels of ability – including educational, mental, or physical ability. As noted above, those with what some researchers deem as “lesser” levels of ability have typically been excluded from research or their feedback devalued. Researchers may think that it is too difficult or impractical to include these individuals. However others have demonstrated that engagement is feasible even “in populations and communities with high prevalence of social inequities (intellectual disparities, poverty, unemployment and illiteracy) traditionally considered difficult to reach”9 Many may in fact be surprised to learn how patients and caregivers can impact research regardless of level of ability. The Research Loop believes that all patients and caregivers can add to research and thus aims to be accessible to all individuals regardless of ability level. The solution is developed so that patients and caregivers can offer simple feedback, such as “this is a great paper” to more detailed discussions of each aspect of the research. With education, The Research Loop hopes patients and caregivers will be able to give more detailed feedback. Yet even if patients and caregivers cannot offer detailed feedback, The Research Loop recognizes the value of their voice and that it should not be excluded from the research process. Jinks et al. suggest from their study that ensuring the patient and caregiver voice is included it takes, “Strong and genuine academic leadership” and a “Clear organizational commitment”.30 However, for that commitment to fully develop, institutions may need to see the actual benefit that comes from patient and caregiver involvement48 – a bit of a catch-22. The Research Loop can help make the case to institutions that the patient and caregiver voice is in fact valuable and thus encourage institutional backing. Additionally, educational materials and resources will be posted on the site to help researchers make the case to their institutions about the benefit of involving patients and caregivers. The Research Loop cannot fully address the issue of tokenism. That responsibility lies in researchers’ control. Researchers should recognize, though, the value of the feedback by patients and caregivers, accept it in the altruistic spirit it is offered. Their feedback should be respected if for no other reason than they have devoted a significant amount of their time and energy hoping that by offering their input they will in some way impact not only research but the lives of those who will benefit from the end result of research. Part of involving patients and caregivers in research is providing them with support. Education about research in general is one aspect of support. Some patients and caregivers who are newer to research may be unsure they have anything to add.18,21 Encouraging patients and caregivers to speak and empowering them with the tools to make them feel comfortable adding their voice to the conversation is essential. Some patients and caregivers may experience burnout by “repetitive consultation fatigue” especially “where they have seen no benefits from their earlier efforts to contribute.”40 Patients and caregivers volunteer for many efforts – including research, fundraising, non-profit organizations. If they feel they were not heard or their ideas not put to use, they may become disappointed and less likely to contribute in the future. The Research Loop wants to encourage patients and caregivers to continue giving to research. By offering a simple web-based application, The Research Loop may lighten the onus on patients and caregivers who want to be involved in research but experience “consultation fatigue.” And the supportive educational materials will continue to provide patients and caregivers with support to be active participants over time.